I decided it was time to make over my chandelier in my dining room. I have always liked this chandelier, but was ready to change it up to go with the changes I made in my dining room a few years ago. I didn't like the fact that it seemed to almost match the wall paint in here. So, I decided to paint it grey to match the furnishings instead. I also removed the shades. I'm very happy with how it turned out. Now, I'm contemplating painting the walls in here! It just never ends, does it? Here is a shot of it with the lights on. By the way, I painted this while it was hanging up. I just placed a drop cloth on top of my table and stood on that so I could reach it. It took a few hours because it was tedious work, but the end result was worth it. I used SW Fawn Brindle to paint it. My husband loved it as soon as he saw it (since I painted it while he was at work). He said he wished we could do that same thing to the one in our foyer. We would have to hire a professional to take it down though since it's in a two story foyer above a large staircase. So we may have to wait a while on that one! Have you ever painted a chandelier? That looks good! Probably be easier just to replace the one in the foyer since you need a pro to take it down and hang it back up. I've never had a chandelier so the answer to your questions is NO. But I wish it were yes on both counts. Our Retirement Cottage is a rental. So not a liberty to do painting...etc. So my changes are in the accents I use to make it look different. I have gotten a lot of great ideas from you that don't involve the painting or remodeling of rooms. So Thanks. Wow...quite a change. It looks really beautiful and updated! I love it painted...so beautiful!! Yes...I have painted a chandelier before and it is a lot of work, but so worth it. Just amazing, doesn't even look like the same chandy, great job on it! I love the "after", Kelly. That looks SO good! I love it, it is really beautiful in your room. That looks great. 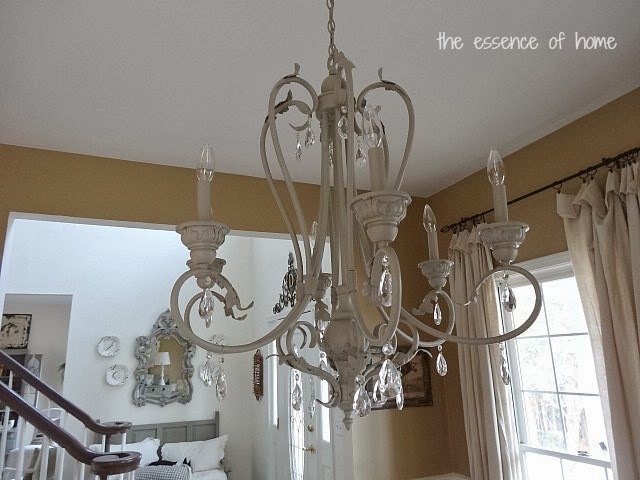 The beauty of the chandelier is so much more visible with the shades gone. I usually like shades but that is better, I think. It looks great. What a big change with just painting it. I have painted my chandeliers but I take them down and spray paint them. Yours came out really nice. Your patience paid off. Beautiful. it's gorgeous Kelly...you did a good job! I have painted several chandeliers...one in the kitchen, and one my bathroom but I had them taken down before I painted them. I have one of the huge gold ones in the dining room that everyone had a few years ago and I've been wanting to paint it...I might have to use the color you used on yours. What a lovely change! It looks fantastic! I have painted many chandeliers before - some by hand, others with spray paint. They've all turned out great!! I love the new color and new look without the shades. You never cease to amaze with with your energy and projects finished. looks pretty. sorry we missed you on sat. we had a good time and went shopping after the meetup. maybe next one? I love the color change, Kelly, and I bet it adds a lot more light and sparkle now that you've removed the shades! How do you change the light bulbs in your 2 story foyer chandy? Beautiful new look all for the cost of a bit of paint and time. 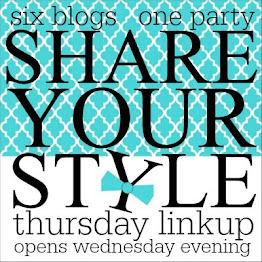 :) Luv it! Yeah for paint, right? Yes, I have painted a few in my time. Getting ready to paint the one in my son and DIL's dining room. It looks beautiful! No, I've never owned a chandelier. You and your sister are the painting duo. It looks SO much better! Not that it wasn't pretty before, but it has such graceful curves, that can now be appreciated without the shades. I really like the new color, too. I paint a lot of things but I never painted a chandy...I LOVE the way yours turned out Kelly...it looks so pretty!! Love your new updated chandelier. It so amazing what a difference a little paint can make. It looks great, Kelly! You did a fantastic job. Yes, I've painted everything imaginable, including chandeliers. Amber has painted hers and it was transformed!! I love the diference PAINT can make on just about anything! I think I like it better gray too. What are the shades made of, they look like a metal which would give you the option of also painting those, or if fabric, well I know where you can find some chicken wire shade inspiration. The chandelier looks wonderful! Love the paint color and it goes so well with your furnishings in the room. I have painted a few chandeliers because it's so much better than buying a new one and is an easy way of updating a space. WOW!! Love love love that transformation! I'm all for painting chandeliers! I've painted two different ones black. Yours is lovely! Kelly this turned beautiful, love the color!!! I love your centerpiece too. 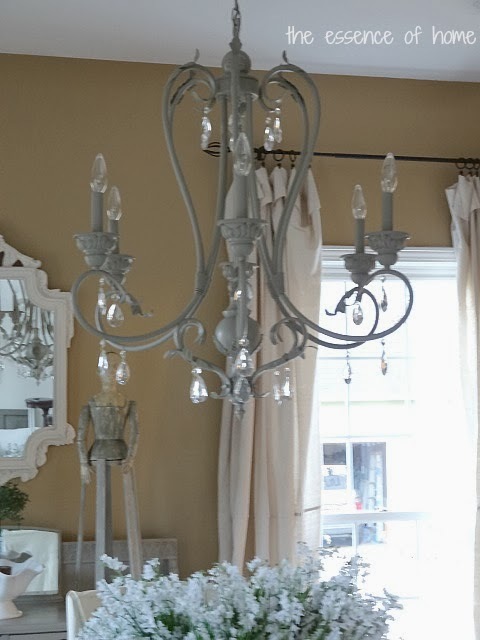 I used to have a neighbor who would by things (especially lamps) with the thought of painting them..Spray painting..We bought a white chandelier once to intentionally antique it..We Verdigrised it..looked great..Still hangs in the entry of my old house.. I love the change! And yes I totally understand how updating one thing leads to redoing a bunch more! Oh yes, could you build some sort of scaffolding to stand on to paint the one in the foyer??? Your looks great. Yes, I have painted several. The funniest one was when I first coated it in wedgewood blue, then applied a hot pink crackle finish. (Well you know I love my color.) I took it to be rewired, and when I went to pick it up, the folks in the shop could not contain their merriment. I hung it in my sunroom, loved it a while, then redecorated the room in black and white. So then it was painted black, and I sold the house. End of this story! Love the new color! I like the white against the dark walls! The container on the table is so pretty! 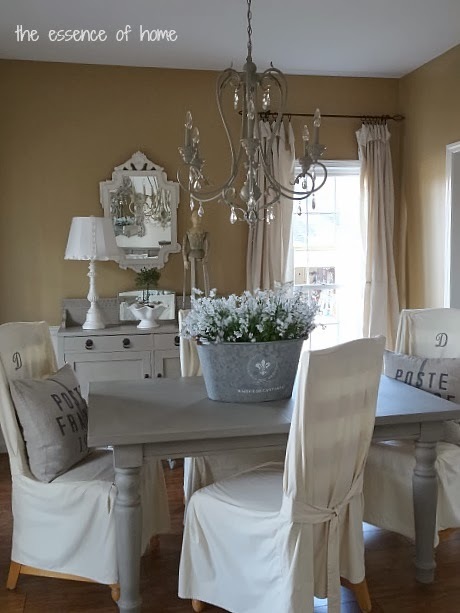 Love it Kelly…what paint did you use?..it took on a totally different look…beautiful job! love the color you painted it. I once used a dark minwax stain on a silverish chandy that turned out great. 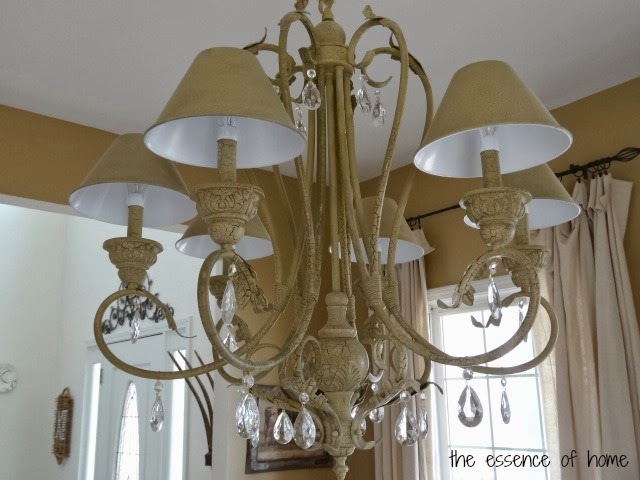 Kelly your chandelier transformation is so pretty! 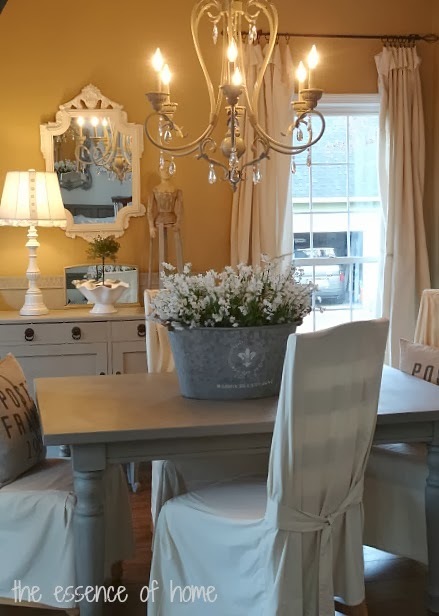 Love the new light color.I did the same thing in my dining room.I painted my chandelier while it was up.It worked out much better than taking it down to paint.